ALREADY KNOW HOW TO VOTE? Click Here to Go to the Final Ballot! 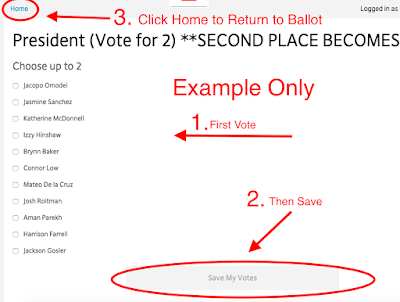 Not sure how to vote? Read below! Read all directions before clicking on the ballot to understand HOW TO VOTE! Your vote is your business only! Do not share it. Step 2: You will then see the available categories with a box that says "VOTE NOW". The categories change based on who we are voting on that day. It will be "grayed" out once you use your vote, so choose carefully as votes cannot be changed. Step 3: Click on either 1 or 2 candidates (some categories allow for multiple selections), click SAVE MY VOTES to record your vote! 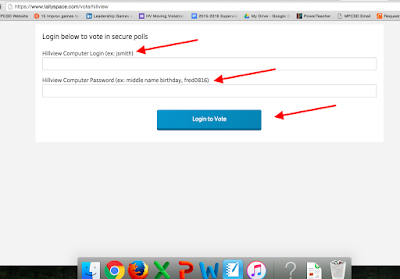 Note: The screen will not change, but it will say "VOTE SAVED". 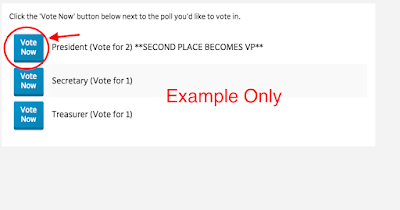 Step 4: Click the blue "HOME" button in the upper left hand corner to return the other categories and cast your remaining votes. REPEAT STEPS 1-4 for the other categories and you are done! READY? Click Here to Go to the Final Ballot!